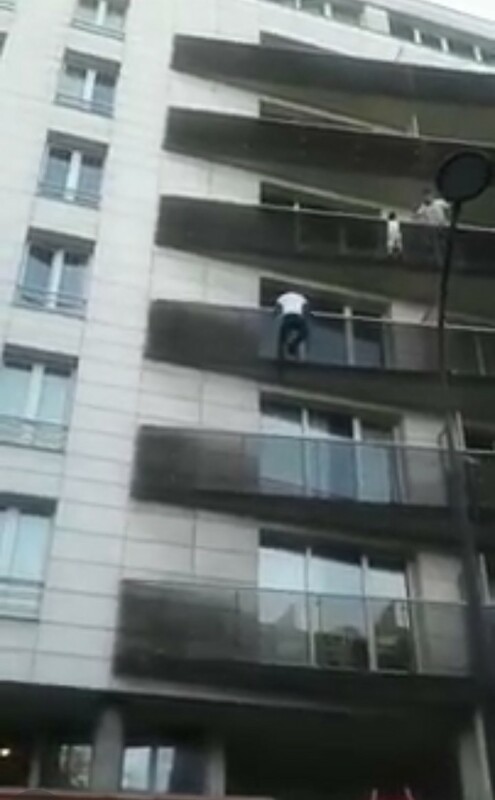 HE CLIMBS 4 STOREYS TO REACH A CHILD ON BALCONY. WHAT HAPPENS NEXT? 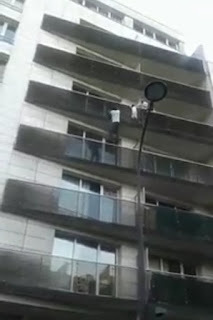 In what is being called the spiderman act, 22 year old Mamoudou Gassama reportedly took seconds to reach a child hanging off a balcony 4 storeys high. The young Malian who entered France some months back proclaimed: “I saw all these people shouting , and cars sounding their horns . 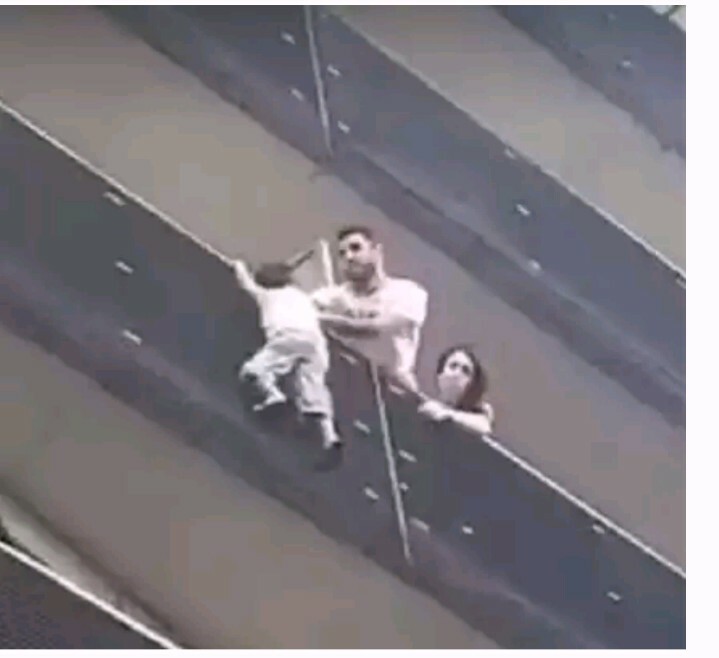 I climbed up like that and thank God , I saved the child. 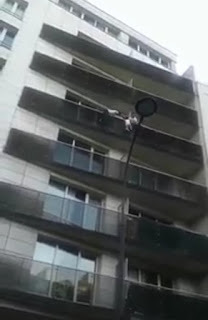 The incident occurred around 8: 00 pm ( 1800 GMT ) on Saturday in northern Paris . Motion pictures of the rescue captured Gassama , 22 , pulling himself up from balcony to balcony with his bare hands as a man on the fourth floor tried to hold on to the child by leaning across from a neighbouring balcony . On reaching the fourth - floor Gassama put one leg over the balcony before reaching out with his right arm to grab the child . By the time Firefighters arrived the scene, the child had already been rescued. According to initial inquiries by the authorities , the child’ s parents were not at home at the time . The father was later held for questioning by police for having left his child unattended and was due in court later, a judicial source said . The child ’s mother was not in Paris at the time . 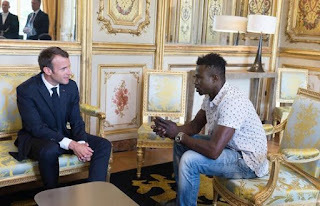 President of France, Emmanuel Macron who invited Gassama to the Elysee Palace on Monday has said Gassama will be made a naturalised citizen. He personally thanked Gassama and gave him a medal for courage.